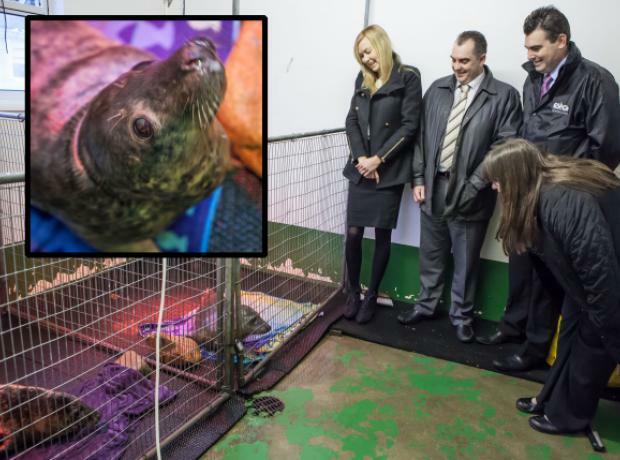 We are delighted to announce that both seal pups Trinity and Eden who were rescued last week are currently doing well. Trinity who was rescued at Pleinmont and Eden from outside Castle Cornet both were on deaths door when they were found but thanks to around the clock care they are both on the road to recovery. After much treatment and tube feeding throughout the day and night both seal pups are now strong enough to eat for themselves and enjoying whole mackerel and herring. We are pleased to report that both Hanois and Jethou Bumblebe the rescued grey seal pups are recovering well. Jethou Bumblebee who has been cared for at the GSPCA for just over 9 weeks has doubled his original weight and looking very healthy. Hanois who was rescued early this year is also putting on weight and his chest infection is much improved.